Consider buying your senior dog a more supportive bed to aid in joint comfort and mobility! 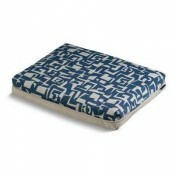 PetHangout proudly carries orthopedic dog beds as part of our Dog Bedding Collection. If your pet is on the mend from an injury or older, you will want to consider a bed that gives amazing support to their joints and muscles. Sealy has an impeccable reputation when it comes to making high quality and supportive beds for people. They are now offering the same technology in innovative pet beds. Doesn't your pet deserve the same good sleep that you love to get? SHOP NOW and make your dog feel refreshed, healthier, and happier! The Sealy Comfy Bed comes in four designs. Sealy's memory foam bed has a nice and cozy sherpa top. For hot natured pets, consider Sealy's cooling bed. Questions on our beds? Please drop us a note or call 877-860-1278. We can't rest until we have your answers! Quilted Orthopedic Jamison Want a comfortable and orthopedic bed for your s..
Sealy Cozy Comfy Bed A Sealy bed is known for its memory foam and orthopedic ..
Sealy Dog Bed - Sherpa Looking for a supportive and orthopedic bed for your d..
Sealy Dog Beds - Cooling We think Sealy outdid themselves on this amazing dog..
Sealy Supreme Dog Bed Sealy's supreme dog bed rocks your dog right out of..